Pioneer and Denon are the titans of the sound technology world and their products have much to offer in terms of premium sound and picture quality. 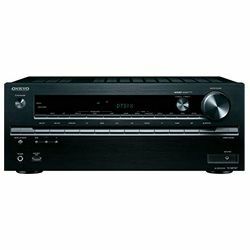 Denon AVR-X4400H vs Pioneer VSX-LX503 testing shows that the first device provides more options in audio formats and built-in decoders. Pioneer VSX-LX503, in its turn, offers 120W channel energy amplification. Testing and comparing the quality of audio, the receivers presented great results. Dolby Atmos with Dolby surround and Dolby TrueHD, powered by DTS Neural:X and DTS:X, provide a stunning 3D sound effect. They create the effect of full immersion. 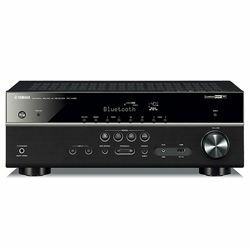 However, unlike Denon AVR-X4400H, Pioneer VSX-LX503 lacks WMA and AIFF. The units have powerful amplifiers with total output power 1090W in the Pioneer VSX-LX503 versus 980W in the AVR-X4400H. Both devices have HDMI pass-through and provide upscaling via HDMI up to 4K. So the picture with deep rich colors is guaranteed. It looks especially spectacularly with OLED TVs. Pioneer VSX-LX503 allows controlling your music content from any point in your accommodation thanks to Chromecast technology. The Google Assistant is supported as well. It allows operating the device, using built-in devices like Google Home and giving voice commands. So the system can be managed with arms across. Denon AVR-X4400H wireless network also lets handle the device effortlessly. Complete wireless connectivity is provided by Wi-Fi and Bluetooth. The receiver supports Apple Airplay 2 and is equipped with HEOS, which allows creating a wireless multi-room network in your house. The VSX-LX503 setup menu system is simpler compared with the menus in previous models. Nonetheless, the setup is quite complex, not enough documented, and a bit annoying. Luckily, you can always use auto calibration to tune the device. When you compare it with the AVR-X4400H, it’s like chalk and cheese. 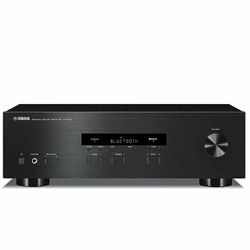 Denon AVR-X4400H provides an easy guidance through the setup process to guarantee the most precise tuning. When it comes to design, it’s just a matter of taste. Both models are presented in classic black that lets them fit any room. They have 2 big knobs: the left knob allows input selecting and the right one is for volume mastering. Right under the LCD, there are numerous small buttons and various ports. Other ports are located on the back panel and allow connecting multiple devices. The device can cope with probably any HDMI component it receives. Overly complex setting up process. The Auro-3D technology lets you experience the utmost surround sound effect. Ventilation system doesn’t handle its functions well.